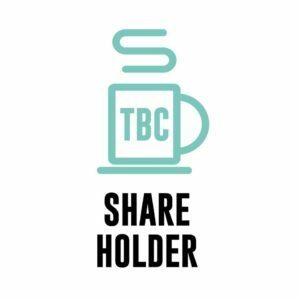 Which crowdfunding platform is The Business Café available on? How easy is it to invest on Crowdcube? Super easy and only takes a few minutes. Can I display that I am a Shareholder on my web site or signature? Do I get a share certificate? All documentation will come through Crowdcube once we reach our investment target. There are rewards depending on value of investment, but everyone who invests becomes a Founding Member and gets a mention on our Founders page (unless they prefer not to!). What’s the location of the first cafe? What return can I expect as a shareholder? Our plan is to scale at pace and generate a profitable business that generates a return on investment on exit. Based on our forecasts an expected return (based on a number of assumptions around performance, scale, valuations and capital required and thus highly likely to change) is £17.78 for every £1 invested. Please do #investaware as your capital is at risk. How many shares would say a £100 investment get me? Investors will be informed of their shareholding after the crowdfund has closed a successful round. What voting rights do I have as a shareholder? If you invest more than £5000 you will be entitled to A class ordinary shares with voting rights. Investors under this threshold receive B class investment shares which do not carry voting rights. How much in GBP and how many shares will be issued? Investors will be informed of their shareholding after the crowdfund has closed a successful round. There is not a number of shares for sale as such, but a percentage of the business in return for the final sum raised (assuming it closed successfully). Investments of this type generally are not motivated by dividend policy as return is generated on exit. At the moment The Business Café does not have a dividend policy as this could influence future rounds of investment, however we will be taking advice accordingly from professionals as we progress towards profitability. Do I have to attend the Annual General Meeting (AGM)? You are under no obligation to attend any meetings, AGM or otherwise. What responsibilities do I have as a shareholder? You are advised to #InvestAware and seek advice regarding your responsibilities, especially concerning tax obligations and liabilities. Is there a limit to the amount of shares (in quantity or value) that I can own? The amount is limited by availability. Whilst we are willing to overfund in the crowdfund round there is a limit to this. NB Please also #InvestAware and take advice regarding any other obligations with regard to proportion of shares in any one business. As shareholder, will I get to see the annual accounts? Accounts will be available on Companies House as a matter of public record. Can I invest via my business or personally? What are the tax implications of investing via my business? Will there be quarterly performance reports? There will be regular updates via social media and our web site on the progress of the business but no formal frequency for format for these has yet been established. How can I help spread the word and e ncourage more people to invest during crowdfunding? Can I invest after the crowdfunding? If you are interested in maintaining an investment relationship with us after the crowdfunding round, please make contact. How do you decide where to open a cafe? There are lots of factors to consider in such decisions probably too complicated to go in to at this point. However it is our intention to start cafes in towns across the UK, rather than being London centric at this stage. How will The Business Cafe make money? We have a number of revenue streams in addition to food and beverage, the core of which is the Digital Menu – whereby app providers pay to be present on the Digital Menu and have our Digital Friends trained up to support café members with basic usage. What’s the business model of The Business Cafe? We have a number of revenue streams in addition to food and beverage, the core of which is the Digital Menu – whereby app providers pay to be present on the Digital Menu and have our Digital Friends trained up to support café members with basic usage. Please contact pennyandgail@thebusinesscafe.co.uk if you would like us to send you our ‘Get Involved’ leaflet to be a commercial partner. Who are the people in The Business Cafe community? Everyone is welcome to join The Business Café as a member, however it is targeted at and designed to give community, skills and support to sole-traders, small businesses and those that supply them. What does Friendship First mean? O ur strapline refers to our culture of friendship in business and our aim to bring the online friendship that exists online in social media to the high street in a physical sense. It also reflects our #strongmindstrongbusiness campaign which is on a mission to research and reduce loneliness and isolation in business by creating a community of friendship and spontaneous connection. What are the values of the community? Our values and ethics are around friendship, free skills, collaboration, peer-to-peer support and inclusion. How do I know if the community is for me? You are welcome to join either at a café or online via our web site with no obligation to stay or visit but free community, skills and support in business we hope will appeal to all business people. How will The Business Cafe help the local community? By helping the economy to grow though providing community, skills and a culture that supports the mental strength , three components that we believe help a business to thrive and grow. Our #strongmindstrongbusiness campaign is on a mission to research and reduce loneliness and isolation in business by creating a community of friendship and spontaneous connection. That we also give free membership and skills is designed to equip our community to their benefit. I’d be interested to know what’s the minimum investment possible that would allow me to take part and watch *how* this adventure unfolds. Might be worth paying the minimum just for that alone. Of course, I’d still want to ensure a good return for any investment, even if small. Crowdcube allow you to invest as little as £10, we are happy to discuss any level of investment with you. Do let us know if you’ve any questions at any time, we’re happy to answer them here.